Google Apps or MS 365? Which does cloud email better? Office 365 happens to be a product I think has a lot of potential. To be fair, it's Microsoft's second try at dedicated cloud-based email. Redmond first went toe to toe with Google Apps back in the days of BPOS (Business Productivity Online Suite), but they're distant cousins at best. With a few years' separation, Office 365 is Microsoft's answer to the growing threat Google Apps poses to Exchange. The way I see it, Microsoft's torn internally. They are clearly still developing a wide range of Server and Exchange revisions on the usual upgrade cycle, but then signal a clear concession to the cloud by killing off Windows Small Business Server. While mixed intentions obviously represent the reality that they are innately a traditional software company, they realize that business is moving to the cloud whether they hold the leash or not. If the death of SBS is any indication, it's that small businesses are slowly being bumped into the cloud. And just like the Coke vs Pepsi debate, businesses choose between two well-qualified giants. Continue in Microsoft-land with Office 365, or jump ship to the maturing email newcomer that is Google Apps? It's a tough question to answer, and one that small businesses are approaching my tech company FireLogic with on a near weekly basis. I've been down this editorial road before. A few months back I wrote why I believe Google Apps is winning over users. But my previous opinion piece focused on the larger picture of suite vs suite. 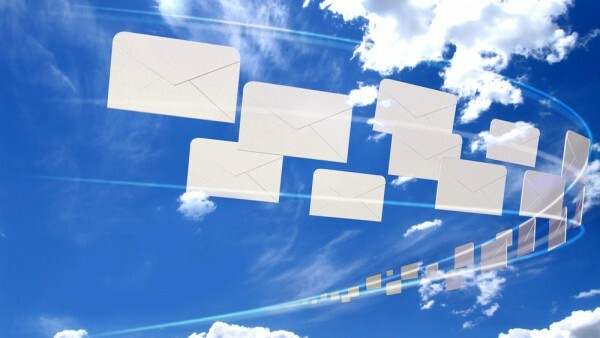 Lots of businesses look to these cloud giants solely for email. So I decided to pit the two in a cage match on this very topic, leaving the complimentary fluff aside so businesses can form their own reasonable opinions. Both Office 365's Outlook web client and Google Apps' Gmail app have various things to offer. One size doesn't fit all, and I'm sure that businesses may find comfort in the good parts of each offering. I'm not here to say which suite a company should ultimately go with. But from a purely feature and performance perspective on email clients alone, a few judgments can definitely be made from my own first hand experience. This fact may be welcome news or prove to be a burden, depending on how addicted connected you are to Outlook. I've spoken with numerous business owners who say that if they can't have Outlook, they'd rather not use email. It's usually that they just haven't seen the capabilities of Google Apps' Gmail, but also realistically because it's the only thing they've used for years. Either way, Microsoft has crafted the closest clone to what desktop Outlook looks like -- without the need for desktop software, of course. While some aspects of Office 365's online email client are nuanced and clever, my biggest gripe sits with just how much of traditional Outlook got baked into Office 365. One of the worst aspects of Office 365 email is that in comparison to how zippy I find Gmail, O365 is just awkwardly slow in this regard. In preparation for this article I compared two (for lack of a better term) obese email inboxes, each powered by the two distinct email providers. The Google Apps' Gmail account showed consistent performance when both changing folders (labels for native Gmail speak), responding to messages and working with different aspects of the account in general. I tried to give Office 365 the best benefit of the doubt that I could and used multiple different browsers including IE 9, Chrome (stable) and Firefox 16. It was smoothest on Chrome, but still slow in many aspects, especially just sifting through the primary inbox area. Even after being fully loaded, it had a tough time just scrolling through over 2,400 emails I gathered in the inbox. Gmail was as fluid with a full inbox as with an empty one. Performance aside, visually Microsoft just can't bear to cut ties with Outlook it seems (good or bad is your call.) While I think Outlook is a decent desktop client (not great), when it comes to email, the cloud begs for a re-imagination of the UI. It's where Gmail offers a breath of fresh air by forgoing what we think of as a classic email interface. For example, one irk that sticks out is how Office 365 forces viewing of every new email message into a new popup window. Sure, I could revert to using the traditional preview pane, but I should have a choice I think. Gmail allows for native inline message viewing or via horizontal/vertical preview pane, for the record. It's not all a mess in Office 365 Outlook, however. I give it some high marks in the way menus and settings areas are organized. Compared to Gmail, which tends to feel crammed like a sandwich in some option screens, Office 365 divides settings logically by tasks and affords some cleanliness in overall organization and layout. And for those who are looking for a brisk cloud replacement to desktop Outlook with a small learning curve, Office 365 delivers. Outlook diehards will find themselves right at home. But seeing as Google Apps allows for seamless syncing with desktop Outlook if needed, it's hard to say that I prefer a half-baked reincarnation of Outlook in my browser. If you're willing to learn the ins and outs of the Gmail interface, then you've got some real nice features under the hood. One of the benefits of Google's handling of Apps is the fast-track development path that allows Gmail to evolve at a much faster pace than Office 365 Outlook. There's no comparing the two when it comes to new features and filling gaps on sought-after needs. Google is definitely in tune with what its users are asking for, and just by skimming their public update feed, you can see that "stale" is far from how to describe Google's stance on Google Apps. I tend to prefer the fast development path. It affords quicker implementation of features that my FireLogic customers yearn for, and represents what a cloud service should be: agile & responsive. Lots of businesses I consult for are initially wary about such a quick development path but in the end it's all personal preference. I expect Office 365 to move faster in changes/fixes than what traditional Exchange/Office offer, but not as swiftly as Google. Microsoft's still fairly new to the cloud game, let's remember. When it comes to spam filtering, arguably one of the hottest topics in email today, I tend to see Google Apps' Gmail doing an overall better job than Office 365. I think a lot of this advantage has squarely to do with Google buying the spam filtering experts at Postini a few years back. While the standalone Postini product is going away, the inner workings of this quality filtering system are essentially fully rolled into Gmail, and the results are evident. In my non-scientific testing and experience, Office 365 missed more than a dozen blatant items of spam while wrongfully marking legit emails. Gmail handles spam as impeccably as I've seen on the market with minimal false positives. That's not to say Office 365 is bad. It's leagues better in spam filtering than traditional on-premise Exchange (by a wide margin, I'll add.) Traditional Outlook users know that without some third-party app involved, spam becomes near uncontrollable. While I clearly chalk spam control in favor of Google Apps, Office 365 is a comfortable second place candidate. One of the other aspects of Gmail that I just adore is the aspect of Labs. While these are turned off by default, they can be adjusted on a per-user basis or controlled on a per-domain level. These are features, adjustments, and other small fixes that Google is testing on Gmail users on an opt-in basis. Many of the Labs available are very useful and handy in improving your inbox workspace. For example, there is a Lab that allows you to move the chat box to the right side of your screen; another Lab allows for quick Google Maps previews of addresses inside an email. One of my favorites (which I turn on for customers by default) is called Undo Send which "takes back" emails a short time after they are sent. We all know of times when we really didn't mean what we said, or forgot an attachment. These are just some of the ways which Google lets you experiment with functionality to your liking. An important aspect of each platform is how they view the topic of unified communications. And each system is starkly different in this area. Microsoft clearly appeals to those who may have on-premise phone systems that are capable of tying into its backend, while Google Apps takes an ala-carte approach in which users can take advantage of as little or as much as they please. If you're looking for a seamless connection to your IP phone system via Microsoft's Lync, then Office 365 will suit your fancy. The platform allows you to choose between a variety of price points that allow you to take advantage of merely online-based live chat functionality or to tie in the entire phone system natively. I've seen offices in action that have this working, but keep in mind that Office 365 setup with Lync can get complicated quickly. The important take-away here is that you can go this route if you need to. Google Apps' Gmail is an entirely different beast. It offers a very nice integrated chat system via Google Talk that essentially taps into the entire Google Accounts network (meaning Google Apps and Gmail accounts.) 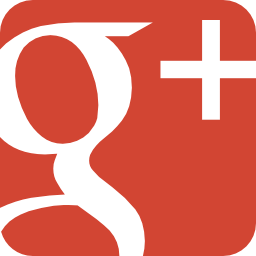 If you have a Google+ account tied to your email address, you can chat directly with connected friends in the same interface as you do with coworkers and business colleagues. Chat history (text form only) is automatically saved in your account for future reference, and can be searched/printed just like any regular email. Office 365 Outlook offers a very minimalistic approach to in-browser communications. There is semblance of inter-company chat in Office 365, but it's very clunky and honestly not half as clean as what Gmail provides. It definitely seems like an after-thought by Microsoft and didn't get the time of day it deserves. To be fair, you can install Microsoft's Lync desktop client to get most of what Gmail offers by means of live chat, but again, this does nothing to cut the desktop software umbilical cord. If Microsoft is serious about being "all-in" with the cloud, it needs to get this functionality into the browser and off the desktop. Most businesses looking to make the jump to the cloud will likely find themselves best suited with Google Apps' Gmail. It was built from the ground up for browser-based email usage, and truly dumps the need for rescinding back to desktop Outlook (unless you truly need it.) Between the benefits it affords around "extended" communications features, spam filtering and overall speed, it's a clear winner in my book.